Hey everyone! Today I have a fun CAS watercolour card to share with you all. I pulled out one of my most recent purchases from Simon Says Stamp and filmed this process for you all! I love this stamp, I think it is so whimsical and pretty!!! Hey everyone! Today I have a fun card to share with you all featuring some copic colouring and Distress Oxide watercolouring! I love how this card came out! The distress oxides in the background leave it a nice soft really washy feel to the colours laid out on the paper, as opposed to the real vibrant look I get with my traditional watercolours. I really like it, so expect to be seeing more of that in the future! I love this image so much! I need to do the little boy out of the other set MFT released at the same time and the other little girl out of this set. Hey all, you know how sometimes life gets crazy busy, and just have no time and the mojo takes a holiday… Well that is what I have been dealing with, it is not very often I don’t make something for a couple of weeks, but that is what I have been dealing with lately. One of my favorite things to do is paint up some florals for a card, and being on the Power Poppy team allows me to do that, which is great when I need to force myself back into creating. So I printed off the Everything’s Rosy digital image and turned on the camera and took an hour or so to myself and just painted it. By the end I found myself again, it was fun and I loved getting back into the swing of things, sometimes you just need to push yourself to make something.. anything! Hey everyone! It is time for a new challenge over at Kraftin’ Kimmie Stamps! I am the hostess this week and the theme is Anything Goes! I pulled out a stamp set I bought way back when it was released, long before I was on the design team, and finally used it! I love the Ewe are Amazing stamp set. I coloured up the sheep with my copic markers. The background was created with my watercolours then I stamped the sentiment so it looks like the sheep is jumping over it. Submit your krafty design, over on the Kraftin Kimmie Blog for your chance to WIN! You have until Friday, April 27th to enter this challenge! Keep in mind, all entries are welcome but you must use a Kraftin’ Kimmie Stamp in order to win. 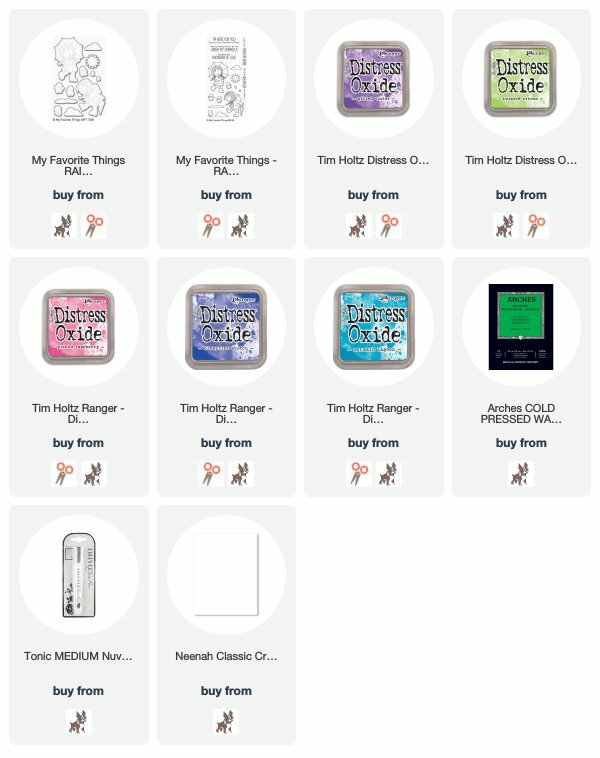 NEW April Kraftin’ Kimmie Stamps!!! So let’s have a big happy hop around the design team blogs and check them all out in action! Grab a nice hot beverage, sit back and relax while you hop around and enjoy all the amazing creations!! …and lastly, HARD WORKIN’ DUDES! I used Hard working Dudes for this one, keeping the front of card super simple and professional so I can write a big thank you note inside! ALL the new sets are NOW AVAILABLE individually BUT if you HAVE to have it ALL, we also have our April Gimme Kimmies Kit which includes all FOUR of the new sets together and at a discount! But only for a limited time and while supplies last! Check out all FOUR of our new April stamp sets which are NOW available in the Krafty Shop at http://www.KraftinKimmieStamps.com !! Greeting Farm Blog to let us know you completed the hop. I used the Sing It set again, colouring up the monkeys with my copic markers, I created the background with my distress oxides and some finetec pearl paints! You have until Wednesday, APRIL 18th at 12pm CST to leave your comments. can purchase these stamps along with their coordinating dies HERE. Don’t forget, we also released our new Faith Stamp called PRECIOUS today (instead of waiting until the end of the month)! 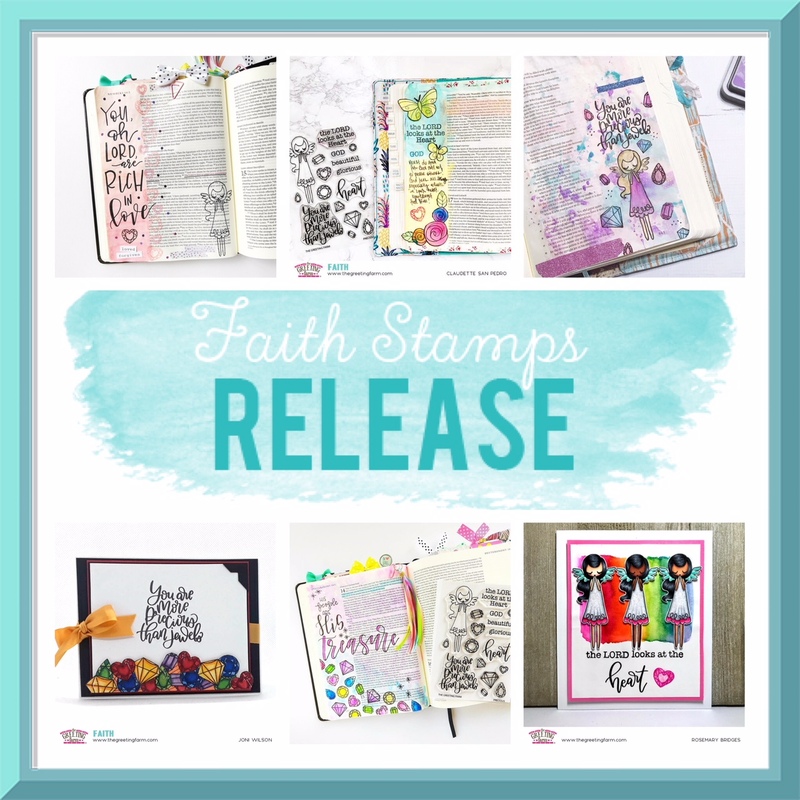 This stamp set is not part of the Blog Hop prize, but it is available for purchase in The Greeting Farm Store along with the rest of the New Release. by to see more inspiration.Happy Hopping!